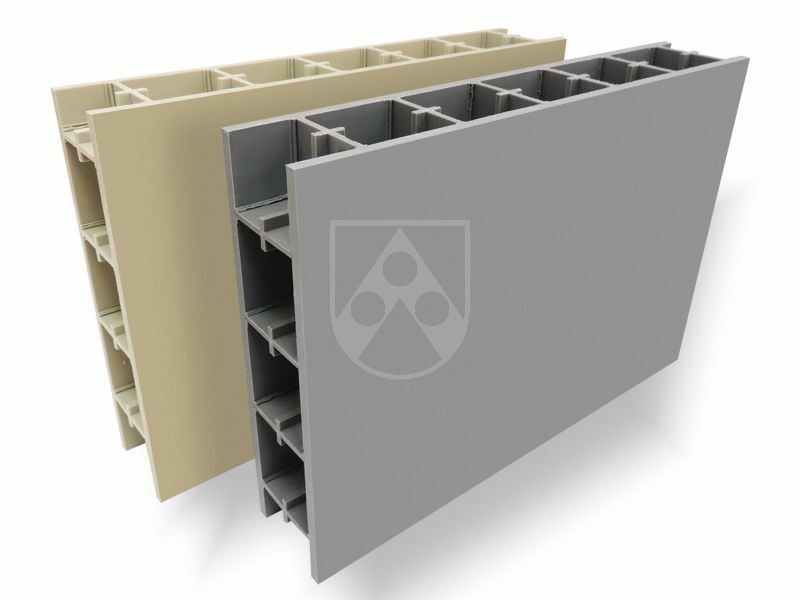 Haren/Germany – Röchling Engineering Plastics SE & Co. KG, Haren/Germany, now offers Polystone® PPs CubX®, a flame-retardant version of Polystone® P CubX®, a tank construction sheet developed in 2018. Röchling is thus responding to the wishes of many customers for a version designed for sensitive areas of application. Polystone® PPs CubX® is especially suited for areas with strict fire safety requirements. In 2018 Röchling developed Polystone® P CubX®, a completely new tank construction sheet specially designed for the construction of rectangular tanks. 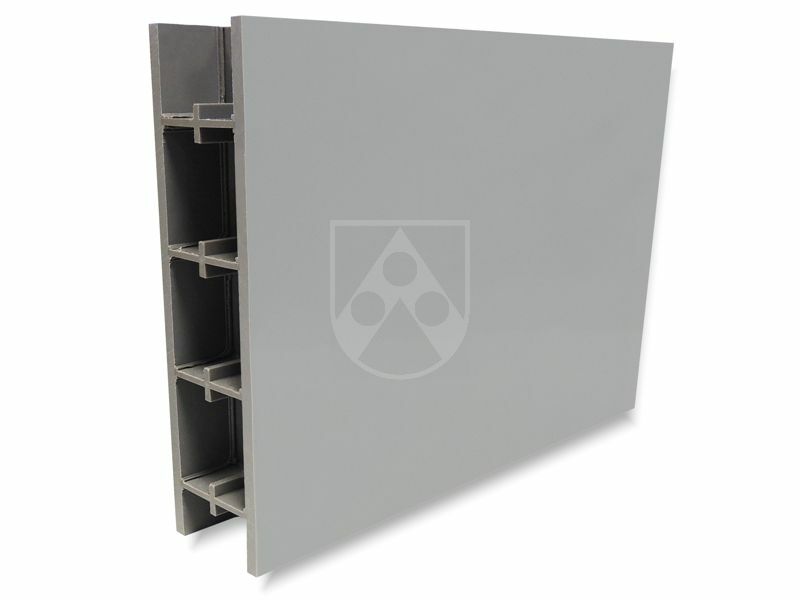 The design is what makes it unique: Polystone® P CubX® is a cross ribbed twin-wall sheet with an internal cubiform cell structure. Its interior consists of a homogeneous, orthogonal grid pattern welded on the outside to two sheets, which form the surface of the finished sheet. The result is an innovative construction sheet with very high longitudinal and transverse rigidity. 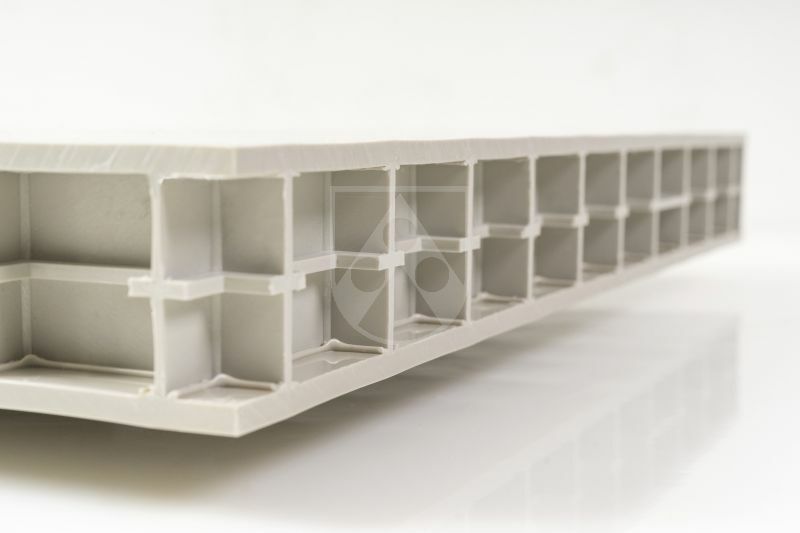 Compared to solid plastic sheets, rectangular tanks made from Polystone® P CubX® require very little or no steel reinforcement and are therefore faster and easier to design and build. 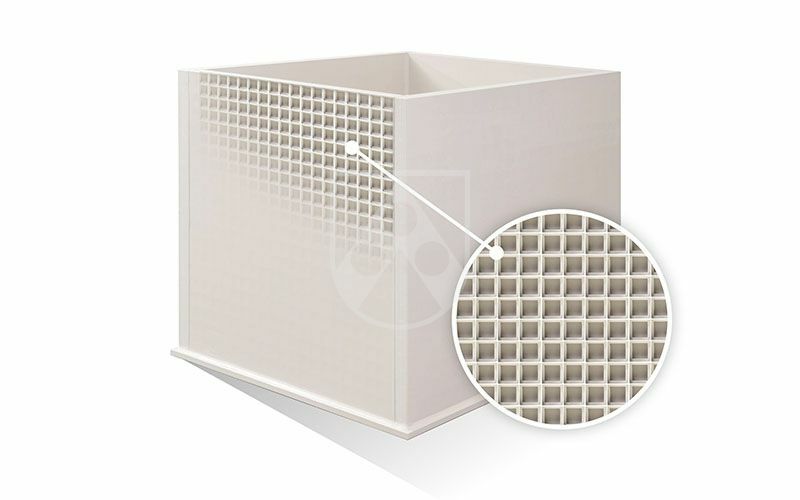 The sheet is also suitable for permanent contact with a large number of different chemicals, thanks to the proven chemical resistance of Polystone® P CubX® cover sheets. In response to high demand for a flame-retardant version, Röchling has now developed Polystone® PPs CubX®. With a flame retardancy rating of B1, Polystone® PPs CubX® is suitable for applications with strict fire safety requirements, such as fans, exhaust systems and demisters, as well as for applications such as covers and pumps and in the electronics industry. Röchling collaborated closely with tank builders for the development of Polystone® P CubX® and made full use of their experience. The launch was very positively received by the market. Polystone® PPs CubX® is available as standard from stock in a user-friendly 2,000 x 1,500 mm format, with a thickness of 57 mm, in the colour grey (RAL 7037). With this development Röchling is further extending its expertise in the field of chemical tank and plant building. Röchling plastics have been in use for decades in the construction of chemical tanks and installations. Röchling offers a complete system consisting of sheet materials, U profiles, tubes and different welding rods, as well as the tried and proven RITA® tank calculation program. In addition, Röchling has extensive databases and many years of experience in chemical resistance and the successful use of plastics.